On 3 October 2017, a soldier from a military base located in Pechy, a town northeast of Minsk, died. The day after, fellow servicemen found Aleksandr Korzhych, a 21-year-old Belarusian, lynched in a noose made from trouser material. His wrists were tied with shoelaces and a sleeveless shirt covered his head and face. The public, along with Korzhych’s parents, believe Korzhych had been the victim of bullying and murder. In the days following the discovery of the soldier’s body, more than 10 thousand Belarusians signed a petition calling for an official investigation and for the dismissal of the Minister of Defence, Andrei Raukou. Public solidarity has forced the authorities, who initially insisted the soldier’s death had been suicide, to change their position on the issue. They are now promising a thorough investigation. These unhappy events have demonstrated, once again, Belarusian authorities seem only respond to pressure. However, they still try to maintain a balance between displays of power and attempts to soothe public opinion. On 4 October, military personnel found Korzhych’s body in the basement of an army base in the town of Pechy. The first investigative committee decided the cause of death was suicide by hanging. Korzhych’s parents claim their son’s body was heavily bruised and showed signs of beatings. Aleksandr’s parents believed their son was murdered. They sent photos of their son’s body to Radio Liberty, where traces of trauma and violence were clearly visible. It emerged that the soldier’s whereabouts from 26 September to 3 October were unknown. These facts, among others, prompted Aleksandr’s parents to demand a fair investigation. Some facts indicate that Korzhych became the victim of extortion. Aleksandr himself admitted to his parents he had to pay €7 a-day to stop other soldiers from beating and bullying him. Along with the money, which he asked his parents to send, his expensive phone also disappeared. 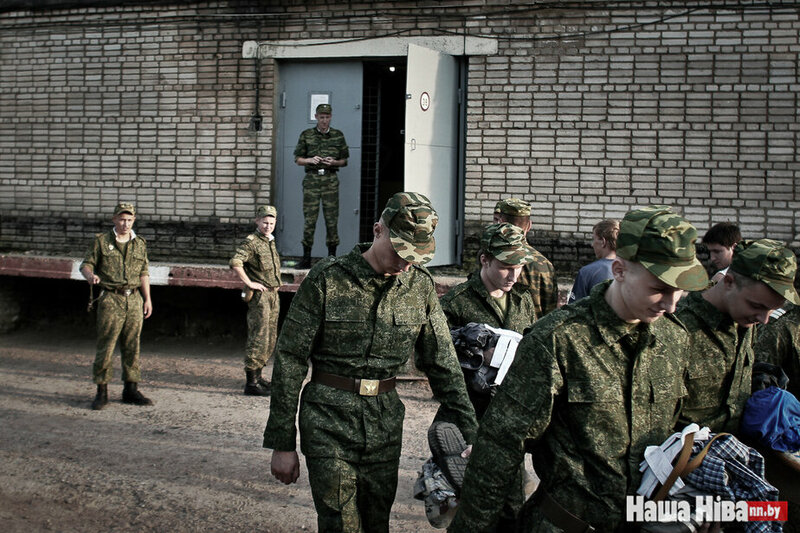 Korzhych complained the hazing and extortion originated from the base’s commanding officers. Evidence has recently emerged that an officer at the base had withdrawn money from Korzhych’s bank card. As more details of Korzhych’s death came to light, many citizens actively expressed their outrage. More than 10 thousand signatures were collected calling for the resignation of Defence Minister Andrei Raukou. Shortly after, the webpage collecting the signatures was shutdown at the request of the Defence Ministry. The petition, officials complained, was an attempt to discredit the Ministry of Defence. The Defence Ministry then took the time to send letters to those who had signed the petition, asking them to confirm whether they had, indeed, signed it. On 26 October, The ministry issued an official statement in reaction to numerous electronic appeals, while at the same time ignoring the demands for Raukou’s resignation. Some well-known young Belarusians, such as Frantsishak Viachorka and Ivan Shyla, shared their military service experiences on their Facebook pages. Despite the buzz around the death of Korzhych, his ordeal does not appear to be the first of its kind. In March, Private Arciom Baysciuk apparently committed suicide after complaining to his family of extreme hazing and bullying. An investigation into his death has produced few results. Baysciuk’s parents suspect their son’s death was closely linked to hazing. Human rights activists believe a culture of hazing remains the most negative aspect of the Belarusian military. At first, the authorities were slow to react. On 12 October, the Defence Ministry promised an investigation into the death of Korzhych and punishment for the perpetrators. Belarusian President Alexander Lukashenka gave his condolences to Korzhych’s family ten days after the soldier’s death. So far, five officers, including the army base’s head, have been suspended. In addition, the investigative committee has initiated eight criminal cases against sergeants at the base. After this slew of indictments, the authorities’ response seems somewhat overzealous. However, the Defence Ministry’s and investigative committee’s reactions are arguably defensive in nature. On 5 October, they called the soldier’s untimely death “a suicide.” As more facts emerged and the public became incredulous, the cause of death switched to acts of hazing and bullying. Indeed, the government fired several high-ranking officials at the military base without any investigation. By 25 October, as the public’s attention appeared to be starting to shift, the investigative committee stated that besides the lacerations from the noose, Korzhych’s bruises appeared after his death. This appears to be a stratagem to calm the public, rather than an effort to solve a case. 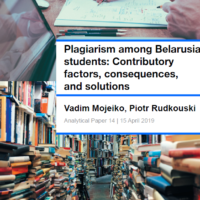 Belarusian authorities tend to respond to public concern when it touches upon sensitive issues, especially if it involves many people connected to the state. For example, when the Kurapaty campaign was accompanied by protests and online-petitions, it pushed the authorities to cancel the construction project atop the historical site. And again, it was the protests of angry Belarusians that caused the suspension of the hated unemployment tax. While the authorities may be willing to compromise on socio-economic issues, they continue to violate the rights citizens in other areas. Recently, authorities have put pressure on anarchists. On 31 October 2017, the KGB, Belarus’s national intelligence agency, arrested activist Mikalai Statkevich for the sixth time this year. His arrest comes a week after his participation in street protests against Belarusian social and economic policies. At the demonstrations, the hazing of Belarusian soldiers became one of the central issues raised. It appears involvement in politics is still the most arrestable offence for a Belarusian citizen. What kind of future for the Belarusian army? 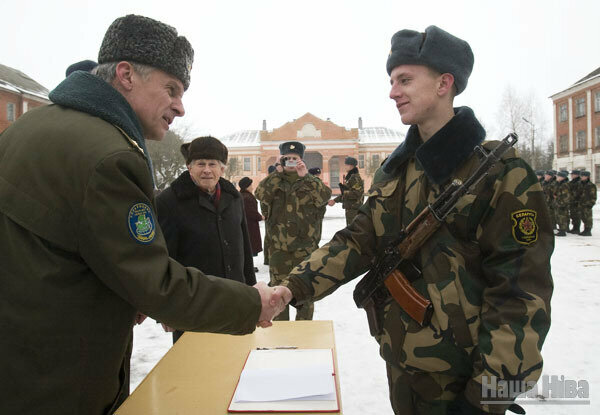 Military service remains compulsory for young Belarusians. However, because of the frequent cases of physical and psychological abuse, many young men shun military service. The case of Private Korzhych has added resonance to this point. Circumstances around Korzhych’s death have forced both the Belarusian president and the Defence Ministry to react. However, the authorities’ tradition of offering a few conciliatory words are not enough this time around. Belarusian human rights groups, the media, and local activists are keeping the public’s attention focused on the issue. Even under an authoritarian regime, the government still finds it necessary to respond to the appeals of more than 10 thousand Belarusians. Officials have already taken a few steps to respond to public concerns about hazing, for example reopening the investigation and firing army commanders. However, this merely appears to be an attempt to deflect public anger and attention away from the root causes and existing problems surrounding arm hazings. A substantive change to the conditions of military service would likely demand constant pressure from civil society, until the authorities feel pressure to react.